Easycargo EDL3007S05 raspberry pi cooling fan is built for low-noise and durable cooling performance. This fan is suitable for Raspberry Pi B / Raspberry Pi B+ / Raspberry Pi A+ / Raspberry Pi 2 and Pi 3 model B and B+. 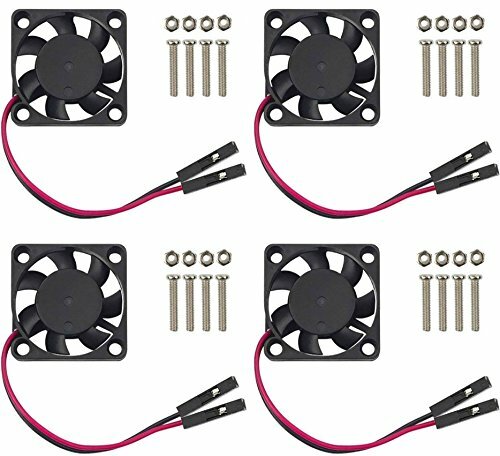 The One-to-Two wire connector pins of this fan, can get connected into Raspberry Pi 3.3V or 5V pin to provide optional fan speed and optimum air flow adjustment. This fan can be installed for most of the standard Raspberry Pi cases and also is compatible with RetroFlag NESPI Case. Package Includes: Easycargo EDL3007S05 Raspberry Pi Fan, together with screw and nut set.